An open miracle occurred on Friday in Monsey, NY, where a tree hitting a car came inches away from taking a man’s life. The man was making a delivery of challos to poor families before Shabbos when a tree toppled on to the road, making a direct hit on his minivan. 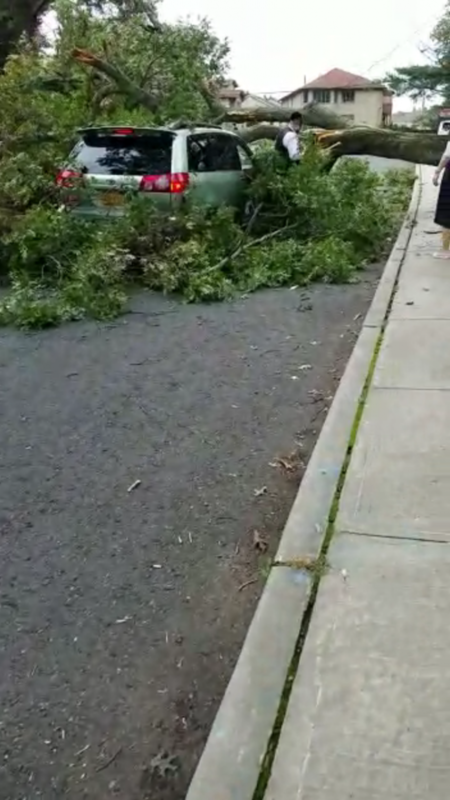 As you can see from the video below, the tree smashes its way through the front of the van, yet stops short before it can hit the driver. In the video below, people are seen approaching the van to check if the passengers are okay, only to see the driver unharmed. “Mamish nissim,” one person can be heard saying in the video.